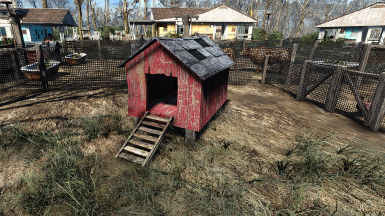 Adds Chickens, Rabbits, Brahmins, Brahminluffs, Gazelles, Guard Dogs & Cat's to the Workshop under Resources / Farming Resources, each one gives +1 to happiness and +0.5 to food (Guard Dog & Cat only adds to happiness +2 for dog and +1 for cat)...there is also a chicken coop, cat ball and cat bowl that you can craft. "damanding" for making the Chicken Coop mesh.  - Removed crime faction from the Guard Dog. - Guard Dog is now "Protected". - You can use stimpak on the Guard Dog. - Guard Dog has now it's own "outfit" and "leveled gear list". - Guard Dog & Cat has there own "death items" now, don't use vanilla as before. 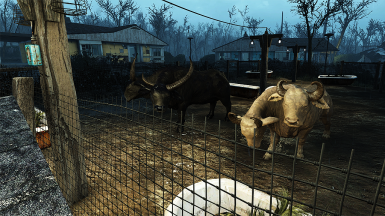 - Adds a Brahmin to the resources. - Adds a Guard Dog to the resources, gets a random skin and gear each time you buy one. - Farming Resources has it's own menu now, you find all stuff from this mod under (Resources / Farming Resources). - All animals has there own icons now (see known issues). - No more lose files, all lose files is packed in (BA2) files. - Chickens and Rabbits have there own sandbox packet (lets see if they stay in place better now). 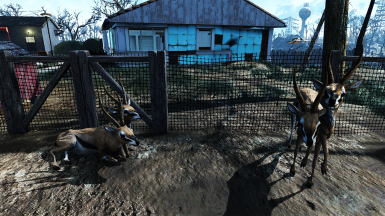 - Added Gazelles to the farming animals. 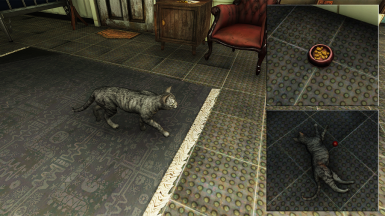 Removed some "Identical to Master records" that was leftover from when i added the Cat to the mod. Removed the templet from Longhorn, should not be any. Cat with cat bowl and ball added. Brahminluff Longhorn and Shorthorn added. Added +1 to happiness and +0.5 to food for the Rabbits, did forgot that. - Rabbits should be more calm now like the chickens and not run away. 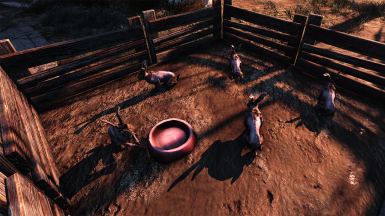 - Rabbits added to the resources. - Changed so that chicken and rabbits uses the vanill (race), if i don't the mod stops working. 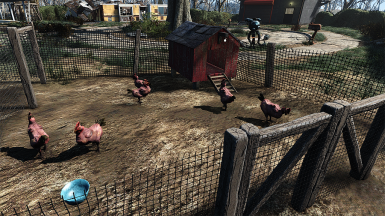 - Changed the vanilla chicken and rabbit race so they can't open doors or gates. - Changed some stuff in scrapping animals and items to remove some exploites. - Renamed the mod to better describe what it is, and in case i will add more stuff in the future. 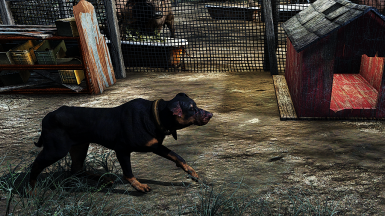 - Adds following animals / items to the workshop menu (Resources / Farming Resources). - Chickens and Rabbits have their own sandbox packet, so they should stay close to where you place them and not wander away. 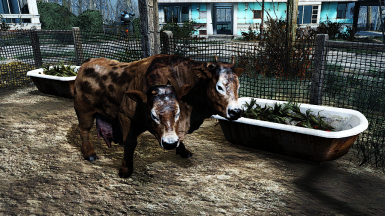 - You can kill the animas to harvest there hide and meat (except the Cat & Dog). - The Guard Dog gets a random skin and gear each time you buy one. - No animals can open any doors or gates (except the Cat & Dog). If you are using a earlier version of the mod prior to version 2.1 you need to remove all lose files and folders from that version. 1. Extract the rar file and copy the Data folder to your Fallout 4 game folder. 2. Enable the "Farming Resources.esp" in your (plugins.txt) file.